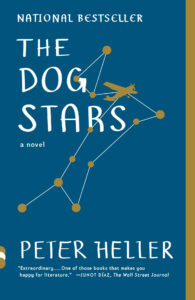 Peter Heller released his first novel, The Dog Stars, to much acclaim in 2012. The San Francisco Chronicle called it “ravishing.” The Wall Street Journal deemed it “extraordinary,” while the New Yorker termed it “a brilliant success.” And even while flyfishing is a major component of the book, most folks in the flyfishing world didn’t even see it, which is too bad because The Dog Stars is one of the finest flyfishing novels of recent memory. 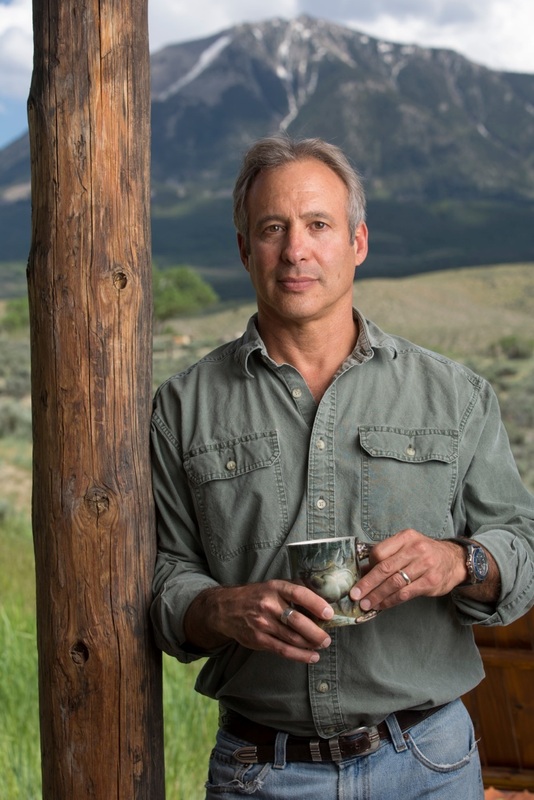 No, the book is not about flyfishing, but the protagonist, Hig loves to flyfish—or he used to. Hig is a survivor of a military-grade flu epidemic that wiped out 99.6 percent of the earth’s population. These days, he lives in an abandoned airplane hangar in a small Colorado airport. His only companions are his dog, Jasper, and Bangley, an armed-to-the-teeth survivalist who guards the airport compound with a grim and fierce determination. Hig’s world revolves around the 1956 Cessna airplane that he uses to run reconnaissance and resupply flights around the surrounding country. Bangley’s world revolves around shooting the lost, the seeking and the marauders who approach the airport. Somehow, they have lasted nine years together. It is not all raiding parties and scouting flights, however, there are moments out in nature. Hig hunts and does some foraging, but mostly, he loves—or loved—to fish. Sometimes back then, fishing with Jasper up the Sulpher, I hit my limit. I mean it felt my heart might just burst. Bursting is different than breaking. Like there is no way to contain how beautiful. Not it either, not just beauty. Something about how I fit. This little bend of smooth stones, the leaning cliffs. The smell of spruce. The small cutthroat making quiet rings in the black water of a pool. And no need to thank even. Just be. Just fish. Just walk up the creek, get dark, get cold, it is all a piece. Of me somehow. Most of the trout are gone now, but Hig still wanders out to the creeks in the vicinity. Still fishing just to fish, still holding out hope for one tiny fingerling, one weathered old survivor. And ultimately, that notion of hope—that maybe there might be something better, something to strive for—is what The Dog Stars is all about. Heller’s writing can be enigmatically stark and fragmented. Short, abrupt sentences, random thoughts and scattered words surround heartbreakingly beautiful passages. Dialogue is clipped and very real and Heller’s descriptions of the natural world leap off the page. But despite the apocalyptic theme and the death and destruction this is a gorgeous and human book full of hope and humanity. In all the years at the airport I kept bringing my rod into the mountains. I’d set down the pack and put together the rod and breath and Jasper would take his cue and lie down on the bank where he could get a good view of the action. I pot on the light wading shoes which were like hi-tops cover with sticky rubber on the soles, and stepped down to the smooth stones that were dusty and gray in air and stepped into the water. As soon as these riverbed rocks were wet and covered they came alive with color, greens and russets and blues. I did too. Felt like that. Soon as the cold shocked my feet and pressed my shins. 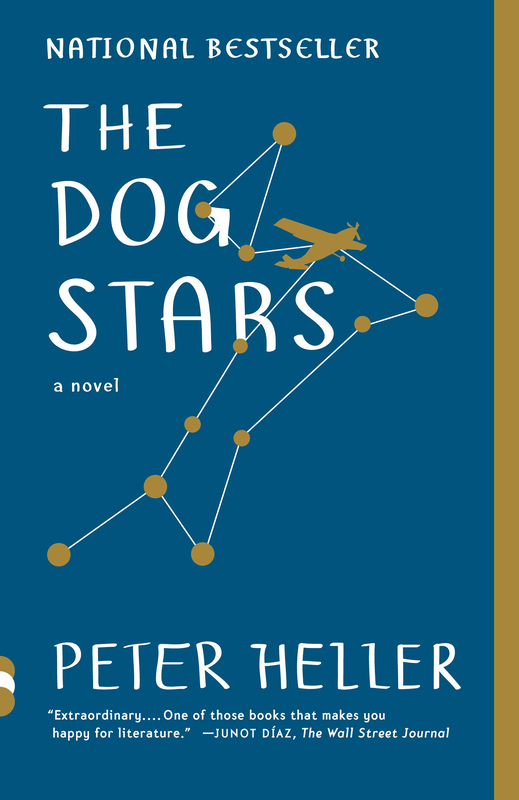 Heller has since followed up The Dog Stars with The Painter, an equally successful novel again scattered with bits of flyfishing. But start with The Dog Stars. Take your time. Soak up every word. Classics don’t come around all that often.